The crown anemone Anemone coronaria is dramatic and beautiful. I love looking at the detail of the flowers. Buds and newly unfurled petals are slightly hairy then unfurl like crumpled silk. Flower centres are dark with hundreds of stamens dusted with purple pollen. Gorgeous! Anemones planted in September and grown in the greenhouse over winter are in flower now. Don’t worry if you missed the planting window last year… they are available in most good nurseries and garden centres now and are also available in florists as cut flowers. Anemone coronaria is a tuberous perennial from the mediterranean regions of Europe. Every spring it produces the most beautiful flowers in shades of red, deep pink, blue, violet and white. Each flower has 5-8 petals and the most stunning centres with striking stamens. This anemone is classed as hardy but please beware. It does need a sheltered sunny position and very well drained sandy soil. It is a brilliant plant for coastal gardens with a mild climate and free draining soils that never become waterlogged in winter. If you have hard winter frosts or garden on heavy clay soils like me then you will probably need to grow this plant in containers to give it the dry conditions it needs. 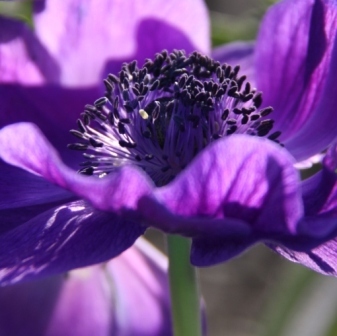 Plants with single flowers are also known as Anemone De Caen. Those with double flowers are the Saint Brigid group. 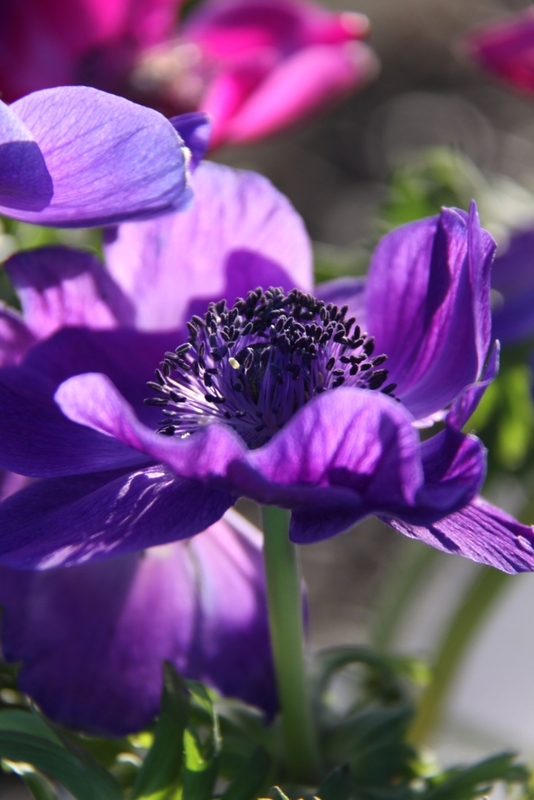 Commercial growers plant the tubers of Anemone coronaria all year round for a good supply of cut flowers. Large tubers usually take about three months to flower. Why not try it yourself? 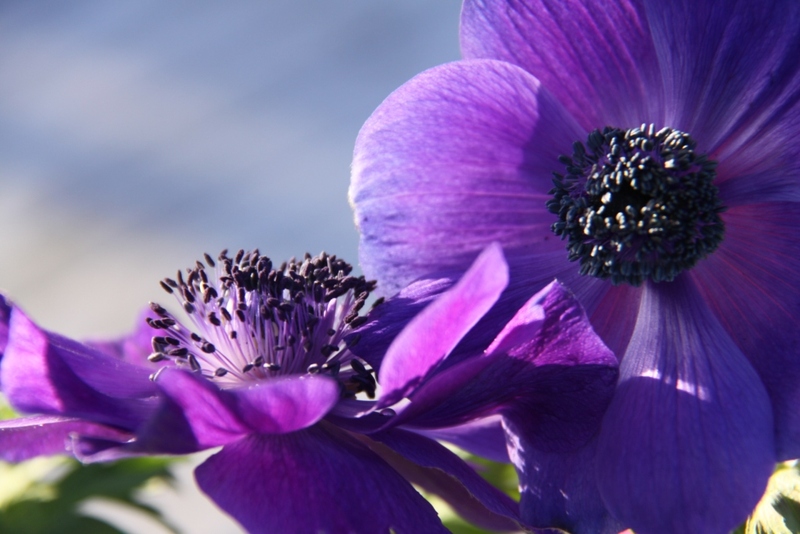 Plant anemones in March or April for flowers in June or July. Plant in June for a September show. Plant again in September for early spring blooms.